You know what makes a perfect beach vacation? Able to soak up the sun without having to worry or deal with the crowds and all the unwanted noises. But this sounds more like a wishful thinking, particularly if you pick the popular yet crowd-friendly beaches. Either you have to deal with it or you can choose some of these peaceful hidden beaches around the world. Forget about the more popular Koh Samui. If you are looking for a remote beach in Thailand, Khanom is your answer. This sleepy seaside village is situated between three airports of Surat Thani (URT), Nakhon Si Thammarat (NST) and Koh Samui (USM). It is also a tiny district populated with less than 30,000 people of mostly fishermen, farmers and expats. There are a few beaches you can find in Khanom such as Haad Nadan and the more secluded side of Ao Thong Ching. Besides being a good tranquil place to unwind, you can even enjoy the sight of pink dolphins or engage in sports activities like kayaking and snorkelling amidst the pristine waters. Mention “Hong Kong” and words like “crowded” and “busy city” often came to mind. But this island city is more than just a lively concrete jungle. More than 20 km off the Hong Kong city lies the Lamma Island, which also housed a secluded beach known as Lo So Shing. This particular beach is reputable for its crystal-clear water and a beautiful yet smooth stretch of sand. The Lo So Shing Beach is even frequently ranked as one of the cleanest beaches in Hong Kong, earning a distinctive Grade 1 rating by Hong Kong Environmental Protection Department (HKEPD). Despite its relatively deserted area, the beach is still equipped with basic services like lifeguards and showers. This is one of the beaches in the world where it truly earned its distinction for being remote and difficult to get there. You see, you have to board a few plane ride and a 4×4 drive through the forest before you finally get to see this beautiful tropical beach of Rocktail Bay. But it’s worth all the troubles. Once there, you will be rewarded with its breathtaking view and a perfect place for scuba diving and snorkelling. There is another catch, though. Rocktail Bay only housed one small resort and a few treehouses if you wish to stay in. 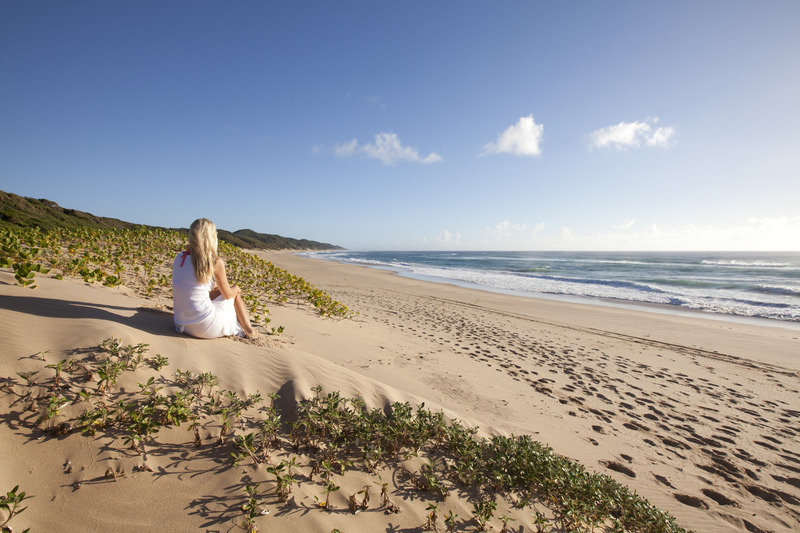 But that’s the beauty of this beach, meaning you get a more intimate travel experience like no others. 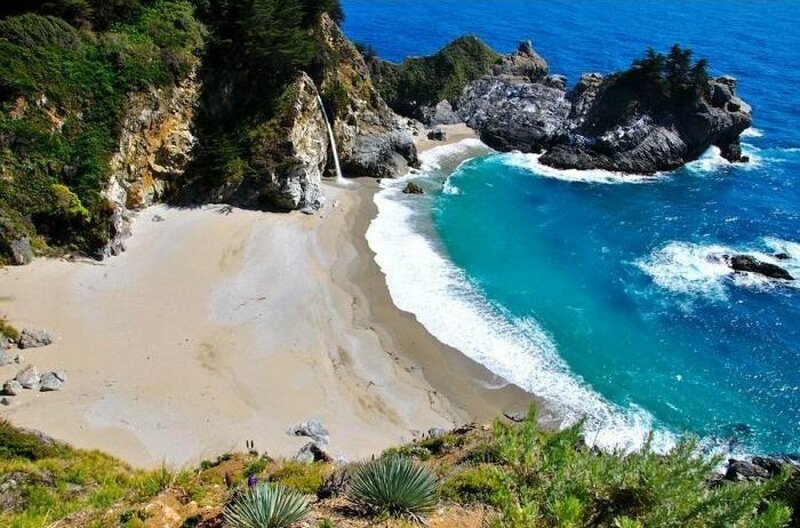 This hidden beach in California isn’t particularly accessible by car. Which means you need to stretch your legs and hike around 8 km just to reach the place. Yes, it can be too far for some beachgoers. But once you are there, cocoa sand stretches and spectacular views of the cliff awaits you in all its peaceful glory. 20 minutes. That’s the amount of time it takes to reach to Store Beach. And the only way to get there is by boat or kayak. Now, the sandy beach itself is both calm and pristine. And if you are lucky enough, you might spot some little penguins as well. 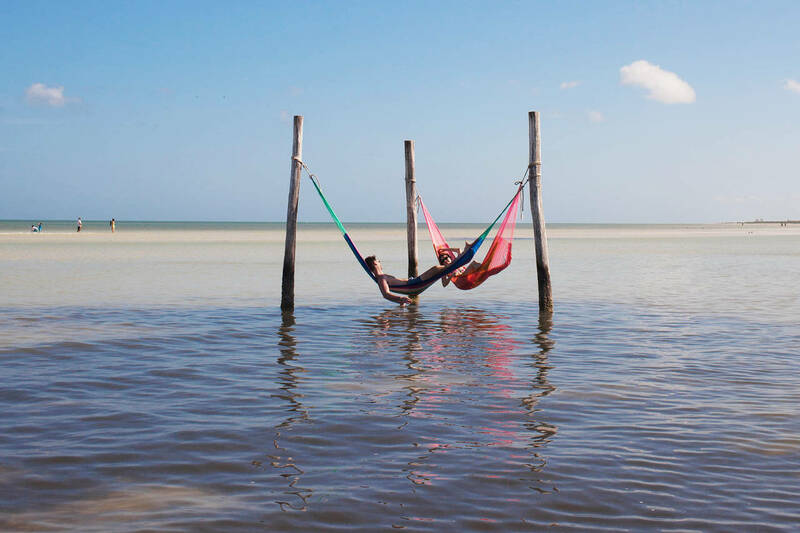 Enjoy a laid-back moment at Isla Holbox, a fine white beach located around 160 km from Cancun in Mexico. You can choose to chill out at the beach or take a boating trip instead. If you are here between May and October, don’t miss your opportunity to take a swim where you might be lucky to witness the majestic sea creatures of whale sharks. Remote white sands, lush cliffside and big blue ocean are some of the pristine beauties that defined the Nyang Nyang Beach in Bali. This is a great spot for water sports such as surfing and paragliding. Otherwise, you can simply sit back and relax while soaking up the sun. Just remember to bring your own food and beverages, given its isolated nature of the beach. This picturesque beach, also known as Smuggler’s Cove or Shipwreck Cove, is particularly famous for its 30-year-old shipwreck that laid in the middle of the little sandy beach between the two limestone cliffs. The beach is only accessible by boat.